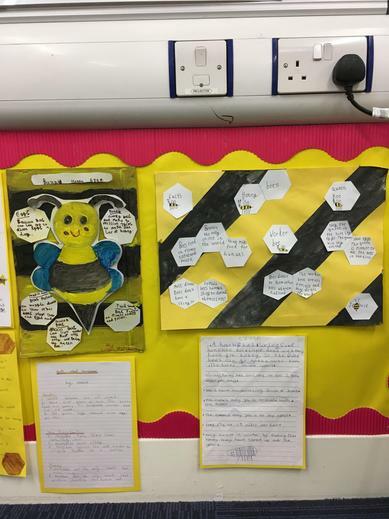 Bumblebee Class have been using their creative art and craft skills over the last month to make a fantastic installation for St Edmundsbury Cathedral. 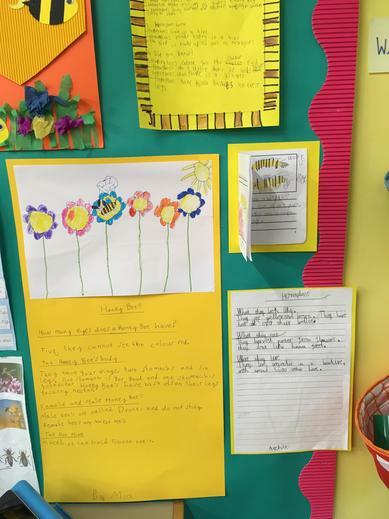 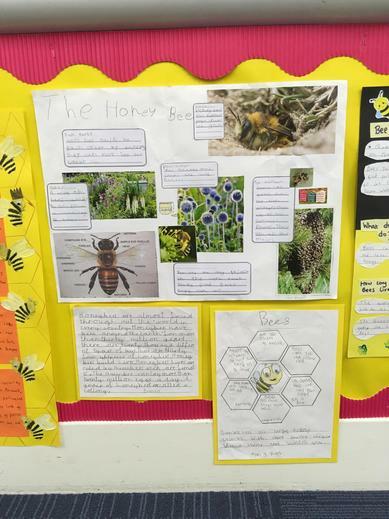 The exhibition is titled Stewards of Creation and Year 2 have focused on the importance of honeybees. 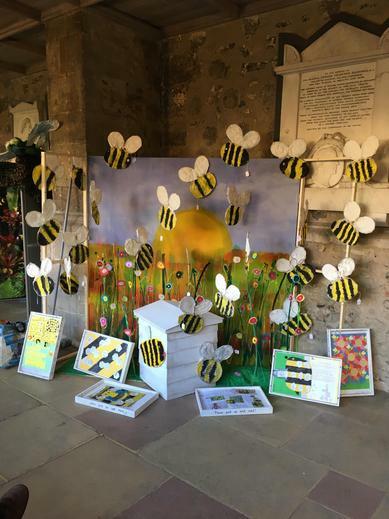 Please pop along to the cathedral between Wednesday 14th November and Sunday 25th November to see this stunning display! 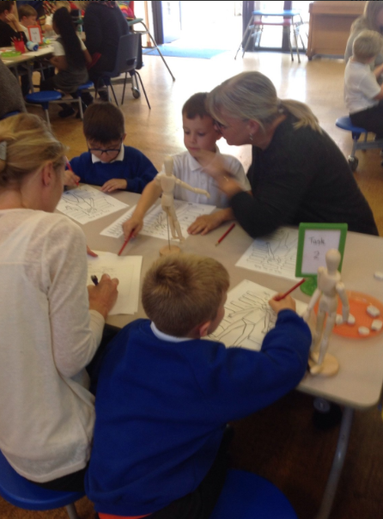 On Thursday 8th November we had a fantastic afternoon with Mrs Mallows - our local potter. 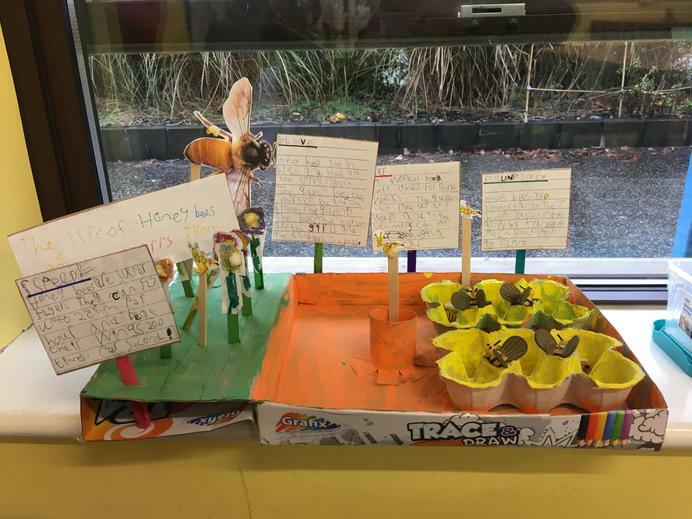 We made Christmas village scenes using clay. 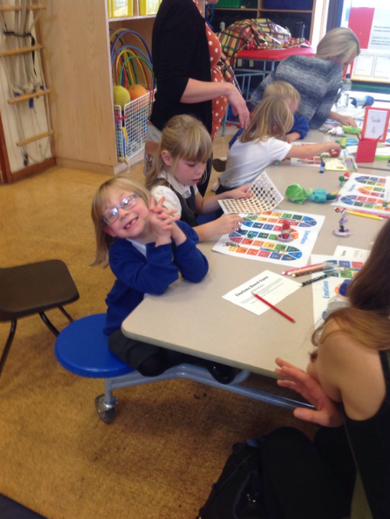 We learnt lots of new techniques such as, making coils, using slip and cutting and shaping skills. 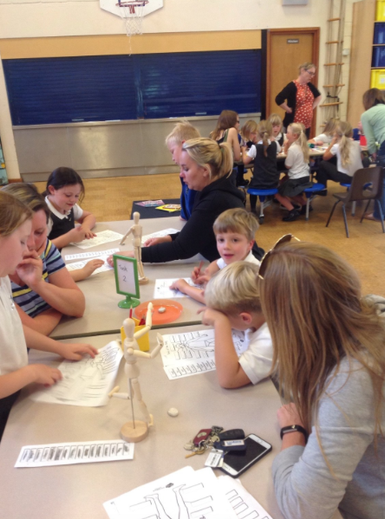 The clay sculptures will be returned to school next week so that we can paint them ready to be fired, we can’t wait! 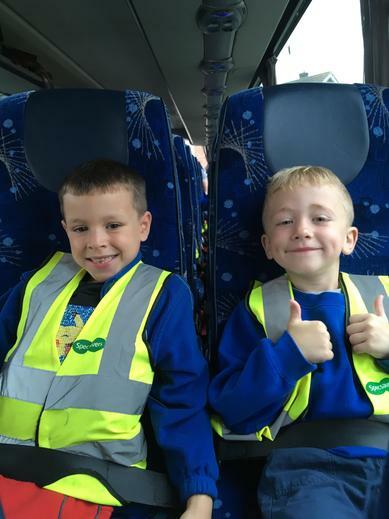 On Friday 2nd November, ten children from Year 2 took part in a Key Stage 1 Football Festival. 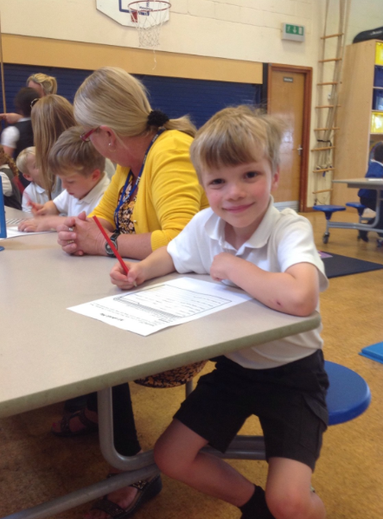 5 boys and 5 girls played in the 4 v 4 festival against local primary schools. 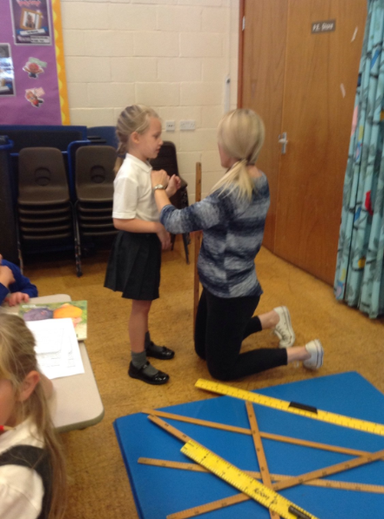 This was the first opportunity for our KS1 children to take part in an inter-school festival. 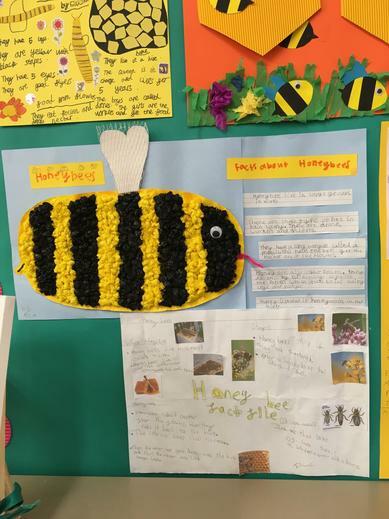 We have a proud footballing tradition at Acton Primary School and, from the performances in this festival, it looks like we have a great football future ahead too! 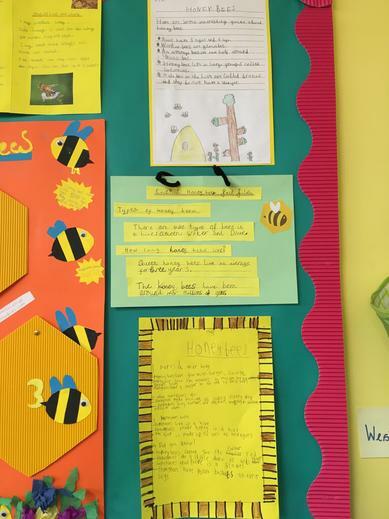 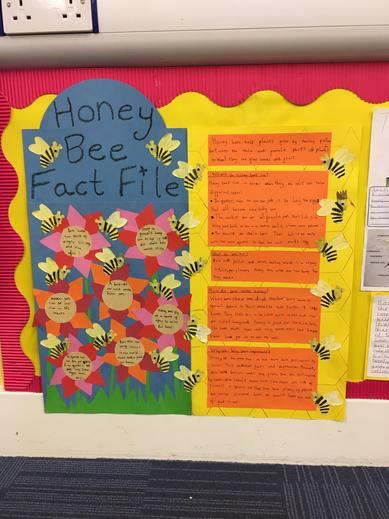 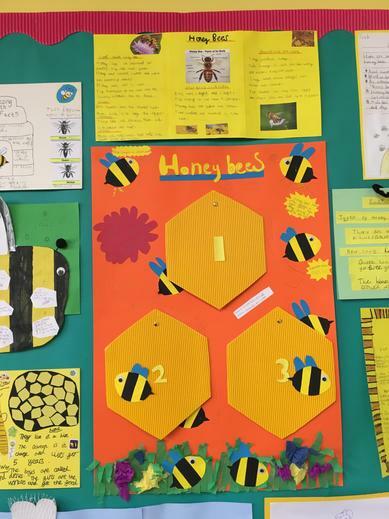 Over October half term, Bumblebee Class have been busy using their non-fiction writing skills to create some fascinating honeybee fact-files. 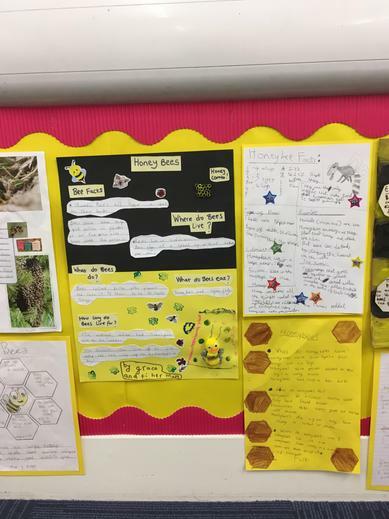 Excellent home learning Bumblebees! 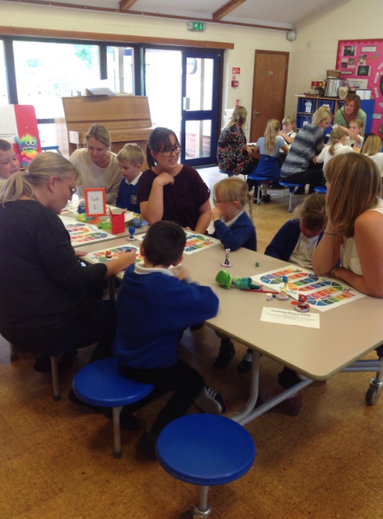 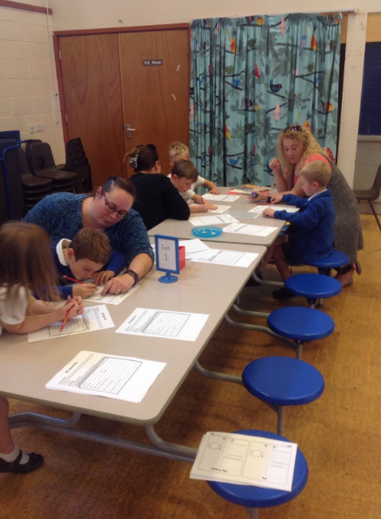 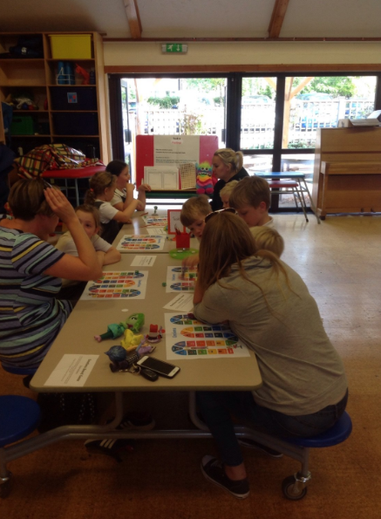 On Thursday 11th October we had a fun Learning Together session. 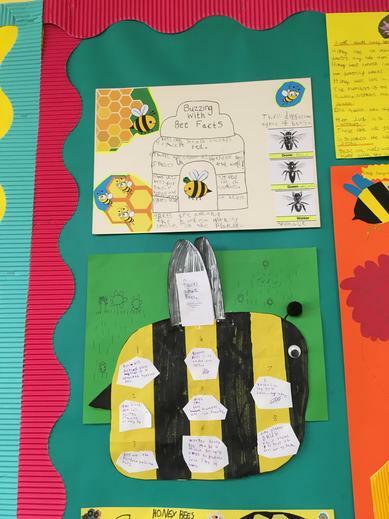 As a class we worked with our parents and friends to complete four different activities and learnt about; our bodies, the human lifecycle, our emotions and ourselves. 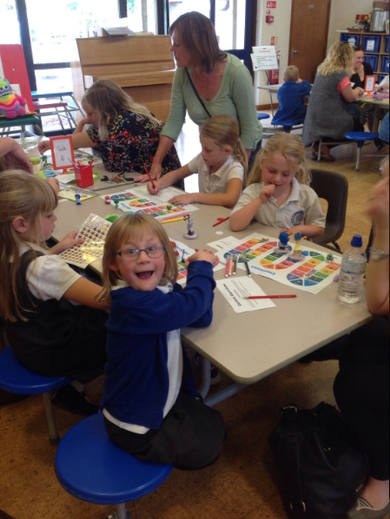 We had a great time talking about our feelings and discussing what makes a good friend. 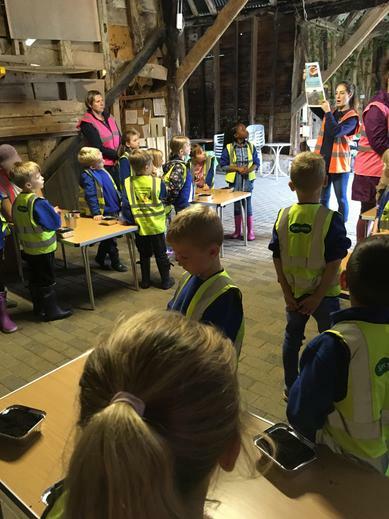 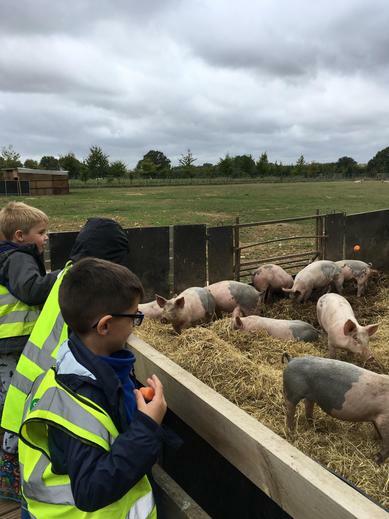 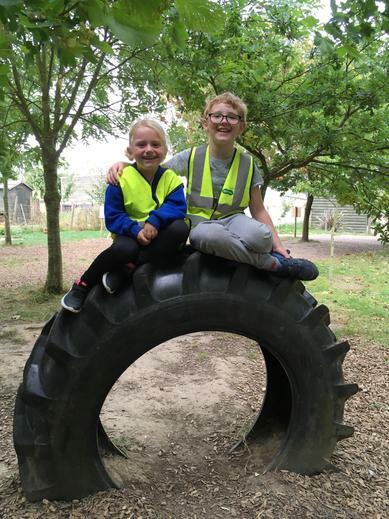 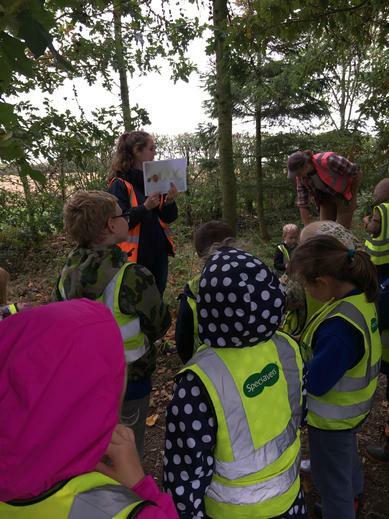 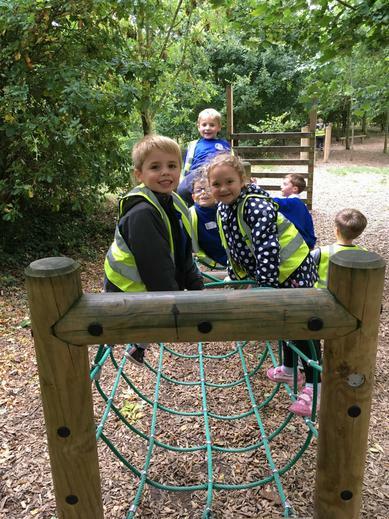 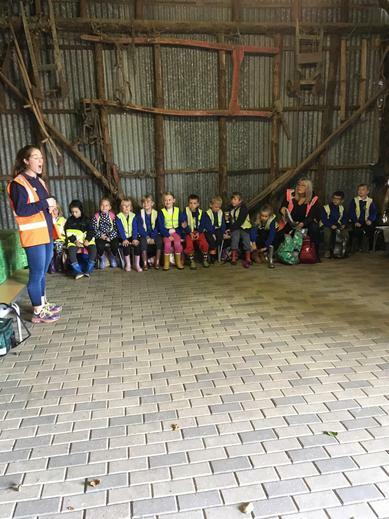 On Thursday 20th September we visited Hollowtrees Farm, as part of our Science and Geography learning. 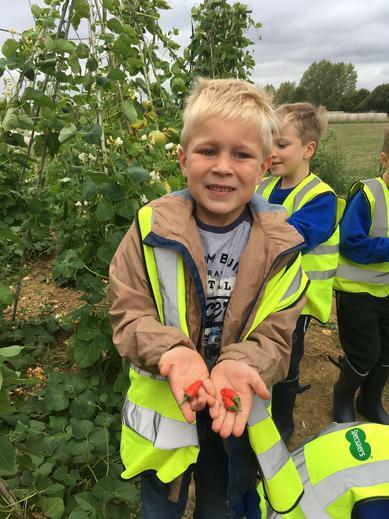 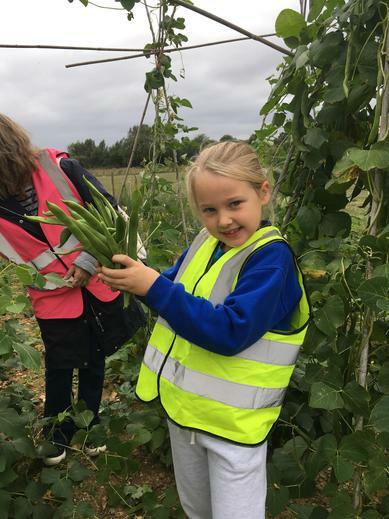 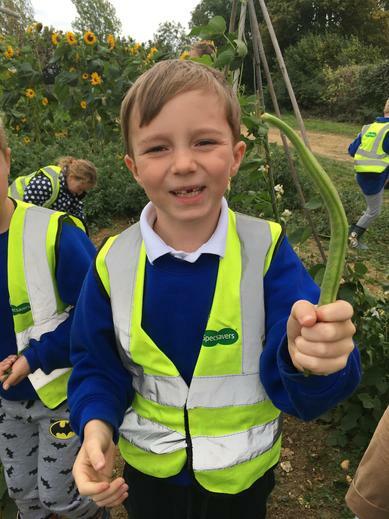 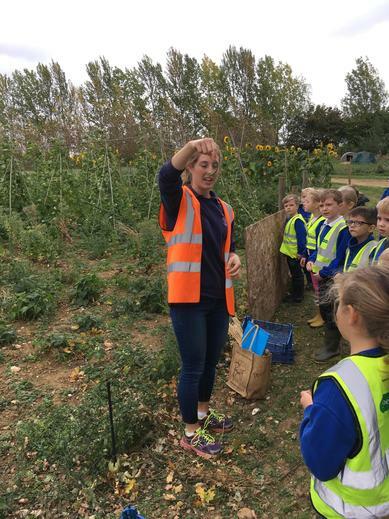 As a class we went on a tractor-trailer ride across the fields where we picked broad beans, dwarf beans and red chilli peppers from plants and learnt about how a combine harvester works. 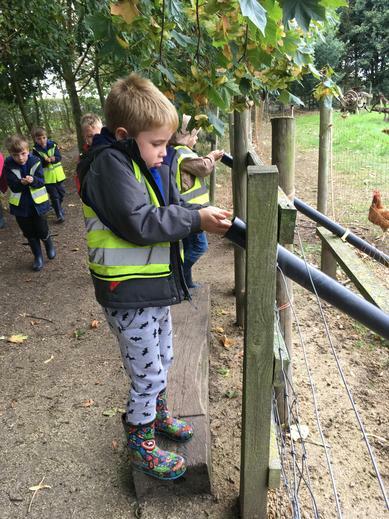 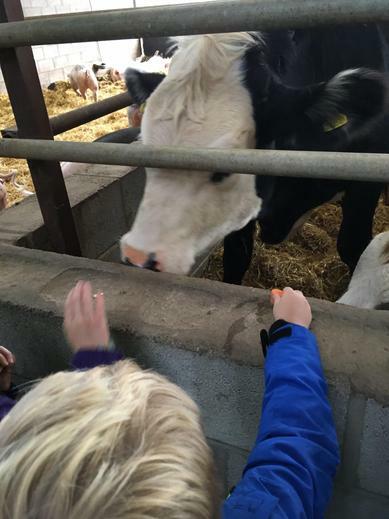 Later in the day, we had the opportunity to feed the animals on the farm and found out about which animals produce milk, meat and eggs.